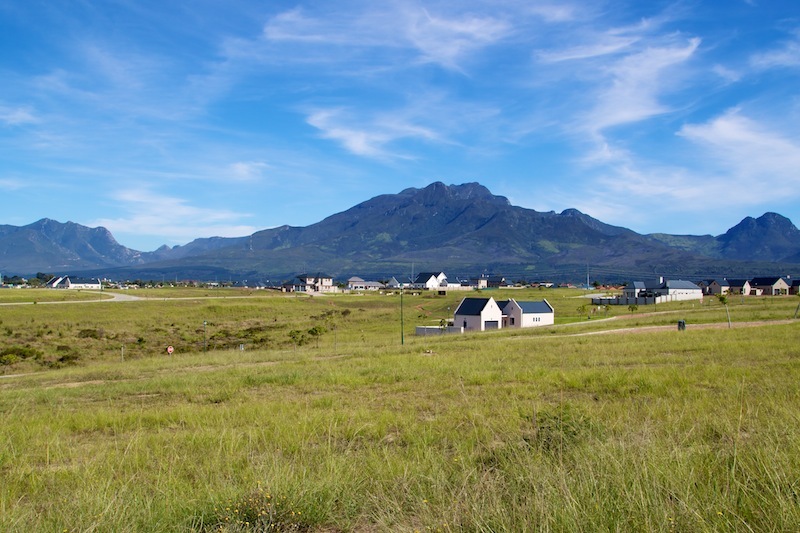 Blue Mountain Village Security Estate is situated in the fastest growing real estate node in George. It is on the Eastern side of George as you approach the Garden Route Mall. If one were to drive a little further you would end up in Victoria Bay or the village of Wilderness. Between the estate and Parkdene will be a 4 lane new provincial road that will link Sandkraal Road to the Saasveld University Campus and the Garden Route Dam. Some homes that are currently under construction in Parkdene are in the region of a million rand! Sunset views down the Outeniqua Mountain Range are magnificent. The Eastern side is bordered by our sister development “Blue Mountain Gardens” and the extension of the retirement village. Beyond this is the Garden Route Mall. Views to the East are are spectacular sunrise over the Outeniqua Mountain Range. Prices for vacant properties from R 150 000,00 (No transfer duties if purchased in a private capacity).